Yes mi amor, it’s that time again! Love is in the air, everything is red and pink, lots and lots of chocolates and filling out valentine cards. It’s a time when kids learn about loving one another. 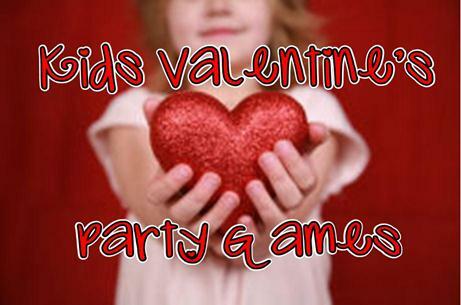 Whether at school, church or home, every child should experience a Valentine’s Day party. With decorations being as simple as anything with hearts, flowers or being red and pink. What better way to get it going than some fun, love filled games? 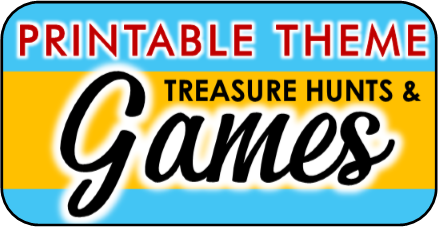 This game requires a little more work than most but is definitely fun for the little ones. Cut out enough cards so that each child will get one. Now draw at least twenty squares on the cards. In each square, you are going to want to put an image that has to do with Valentine’s Day. For example, a heart, cupcake, cupid, candy, flower, lovebird…etc., will work. Make sure to make a copy of the image on a small square to use as your calling cards later. Give each child a small box of candy hearts or other candy, as markers. Mix the calling cards in a bowl and let the fun begin. Everyone wins in this game because they keep the candy afterwards. You will need to print out a large image of Cupid or draw one to hang on the wall. Make sure to leave a blank heart on his chest. Cut out a heart for each child participating, felt works well for this and is cheap and easy to work with. Put a piece of double sided tape on the back of each heart. You will need a piece of cloth to tie over the eyes or a blindfold. Have the children step u one by one and spin them in a circle and let them try to pin the heart on cupid. The closest to his heart wins. This game is good for teaching children what it means to be kind to one another and how something like a small compliment can make someone smile. Have the children gather in a circle and give each one a piece of paper and a writing utensil. Tell the children to write something nice about the person to their right. Once they are done, they have to pass the note to their neighbor and they can read it then or take it home with them. Cut out several hearts using construction paper. Now you will use different cutting patterns to cut each heart in half. Mix the halved hearts in a bowl. Have each child draw a heart from the bowl. Now they have to find their other half as fast as they can by matching up the hearts. You don’t have to have rhythm for this game but you will need speed. 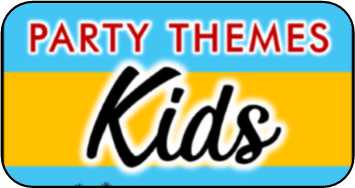 Prepare a radio or Ipod to play some upbeat music the children will enjoy getting goofy to. Cut out and tape large hearts on the floor, spread them out. Put enough so that each child has one to stand on. You will start the music and the children will dance around the room. When you suddenly stop the music, everyone has to be on a heart. The last to get to a heart is out, have them remove one heart as they leave the game. So they don’t feel left out you can award them with a small piece of candy or as master of the music. Continue play until one is left and they are the winner. You will need to have paper cups, plenty of candy and two small bowls for this one. Have the children separate into two teams. Each team gets a paper cup. Have each teams bowl across the room on a table. The object of the game is to fill the bowl up as much as possible in three minutes or less (you can adjust the time to suit the ages and numbers of the children playing). The teams will one by one fill the cup up with candy and balance it on their head while crossing the room to fill the bowl. After one child makes it to the bowl without spilling the candy, they will run back and tag the next person to go. If they drop the candy, they have to start over. The team with the most candy wins. I remember when I was little, thinking all boys had the cooties and all the boys thought girls had cooties. In this game, you will need some valentine themed stickers. If you can find ones of love bugs it makes for more fun. As the children arrive, occasionally put a sticker on one of them without them knowing, preferably somewhere they can’t see. At some point early in the party tell the kids that there is so much love in the room that some of them have the cooties! The only way for them to get rid of the cooties is to help one another find the cootie bug on them. Once found they have to remove the sticker and spin in a circle while saying “circle-circle, dot-dot, now I’ve got the cootie shot!” You can continue this game throughout the party by randomly putting stickers on the kids until everyone has had their cootie shot. Draw hearts on little pieces of paper and place them in a hat or bowl. On one piece of the paper draw a ‘C’. This is the cupid card. Have each child pull from the hat or bowl and keep quiet about what they got. Explain that whatever child gets the ‘C’ is cupid. They all have to shake one another’s hands and cupid is to secretly tickle the persons palm when they shake hands. That child will quietly go sit down. Everyone will try to guess who cupid is before he shakes their hand and they are out. If someone guesses correctly you can award them something small. This game is quite fun and can be played continuously without striking the boredom nerve in the little ones. Think of several items that have a pair. For example, peanut butter and jelly, cookies and milk or ketchup and mustard would work. You will need to write down one word from each pair on a large piece of paper or poster boards. Now have the children get into groups. Give each group a piece of paper and a writing utensil. Set three minutes on the clock and tell them to write down the pair to each word on the board. The team with the most correct match-ups wins. Have a couple of balloons filled with air, if you can find heart shaped ones it would be even better. Have the children divide into teams. The object of this game is to put the balloon in between your knees and make it across the room and back without dropping or popping it. Once they make it back to their team they have to tag the next person and it’s their turn. The first team to have everyone complete the heart hop, wins. This makes for good exercise and fun.